Since starting out in 2002, Origin Wine has become one of the most recognised international wine businesses in the world. With its global footprint, origin is the envy of many of its peers. Bernard Fontannaz, the Swiss-born founder of Origin Wine, has always been astute with a keen eye for an opportunity. As a young winemaker in South Africa his world and dreams knew no boundaries. He started Origin Wine as a one-stop specialist supplier of commercial-style South African wines to offshore supermarkets. This included sourcing, bottling and delivering the wines to customers and from the outset quality, reliability and consistent service throughout this value chain were non-negotiable. 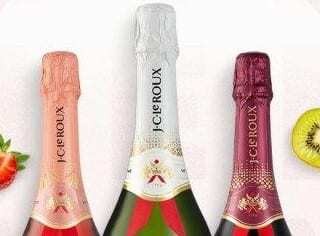 The South African operation quickly grew into an international business with more than 330 employees spread over six offices worldwide and selling in excess of 85 million litres of wine annually in 33 countries, including the America, Canada, Denmark, Germany, the Netherlands, Russia, the Nordics, Switzerland and the UK, to name but a few. Currently Origin Wine concentrates on the export market, but the long-term plan includes increased distribution and visibility locally. Bernard soon recognised the opportunity to expand the business into Argentina’s popular Mendoza region, a sleeping giant at the time and well before today’s Malbec frenzy. 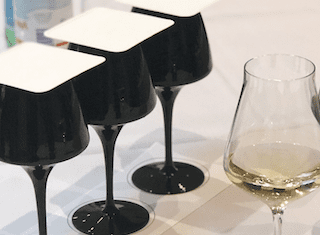 The model, introduced in 2003, was based on the South African start-up: a specialist business managing the export supply and distribution chain, only this time the focus was on Argentinian wines with an eye on the American markets. The world-renowned Mendoza Vineyards, now part of the Origin Global Distribution Group, manages the export and distribution of wines all over the world. Since acquiring Mendoza Vineyards, two wineries were bought, one in Agrelo and another in the centre of Mendoza. Annual production equals 500 000 cases of wine at an average price of $45.00 (R656,69) a case. At present only 20 000 cases are sold in Argentina, so the local market has a huge potential for expanding future sales. 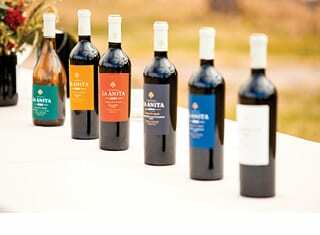 Mendoza Vineyards also exports bulk wine to European retailers who bottle it under their own brands. “I have only one requirement – to build confidence with clients from all over the world by offering them the best possible price-quality relationship at every level. It is all about value rather than cost,” Bernard says. Supplying wine from the prominent wine regions of both the Old and New Worlds has had huge spin-offs. Firstly it exposed Origin Wine to various global best practices and worldviews. 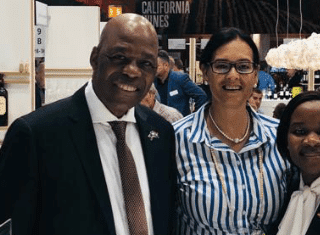 The company invested in Logico Wine Solutions, a bottling plant based in Antwerp, Belgium, to provide an efficient supply of all Origin’s non-South African wines to its European clients. In North America a partnership with Maison des Futailles in Montreal, Canada, gave Origin access to complete production and packing facilities in Quebec and opened up opportunities on the huge next door America’s East Coast market. With various well-known brands in its portfolio, Origin Wine has established a secure international base. The current portfolio includes Stormhoek, Grand Vin de Stellenbosch, Fairhills and Craft & Origin in South Africa; Mendoza Vineyards, Magna Finca, Finca La Anita and R&B in Argentina; La Folie Douce, Miscela, Domaines & Chateaux and La Vida in Europe; Paddle Creek in New Zealand, and Camden Park in Australia. With such good ratings, entry into the American market became that much easier. Switzerland, Bernard’s country of birth, and many other countries followed. The initial price for a case of 12 bottles of wine was of $22 (R320.78). Today a case of Mendoza Vineyards commands nothing less than $45 (R656.69). As the demand for this brand grew, volumes and price points also grew and new challenges presented themselves. With the acquisition of Le Grand Domaine and Finca La Anita, Origin Wine is doing what many wine marketers would love to do – climb into fine-wine territory. You can only do this by genuinely investing in proper assets, vineyards, terroirs and capabilities to ensure consistency, Bernard says. “To be able to deliver the expected level of quality a premium offering needs to have essence, roots, origin, provenance, dimension and credibility. I believe you can only truly be authentic in this category by having your own vineyards and set-up, and not being dependant on external sources over which you have no or limited control. It’s about having ‘skin in the game’, as the American would say. It also means having long-term investments in place and therefore the capability to deliver a consistently reliable fine wine. Our strategy involves the best terroirs and grapes, never compromising and being patient. “It takes time, resources and investment to see results. There’s no quick fix,” Bernard says. Moving into the premium price point has had consequences though. The biggest need wasn’t so much the working capital, but a mind shift towards premium. Plus time. And patience. On a practical level it also meant having a separate sales structure to handle that part of the business. “Today we sell wine in 33 countries and cover everything from entry-level to mid-premium wines costing up to $50 (R729.18) a bottle. The high end will take more time as we need to establish our vineyards and grow them into something exceptional. That is the end game and it won’t happen overnight. My ultimate goal for Grand Domaine and Finca La Anita is to establish credible, highly rated and sought-after long-term fine wines. In essence, something remarkable with pedigree, essence, roots – and origin.